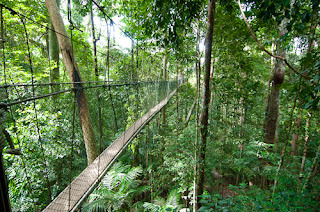 Tropical rain forests cover 59% to 70% of Malaysia's total land area. 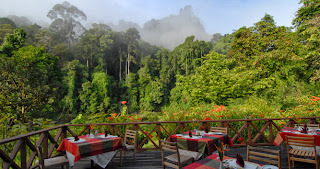 Only 11% of this rain forest terrain is virgin and relatively untouchedm as over the years, activities like logging, deforestation and human encroachment have severely affected these dense jungle enclaves where abundant native flora and fauna abound. There are various different kinds of rain forests present in Malaysia namely lowland dipterocarp forests, hill and upper hill dipterocarp forests, mangrove forests (Malaysia is home the world's fifth largest mangrove area, totaling an area of half a million hectares), montane forests, peat swamp forests and oak-laurel forests. However, the forests in Malaysia are dominated by trees belonging to the Dipterocarpaceae family. These forests grow on dry land above sea level up to a height of about 900 meters. The term Dipterocarp is a Latin term, which translates as ‘two winged seed’ and refers to the wind pollination process which spreads these seeds far and wide so that these forests continue to survive and thrive. There are various kinds of dipterocarp forests in Malaysia, Lowland dipterocarp forests populating terrains up to 300 meters above sea level, hill dipterocarp forests (HDF) inhabiting elevations between 300 meters and 750 meters above sea level and upper dipterocarp forests, prevalent on heights ranging from 750m to 1,200m above sea level. 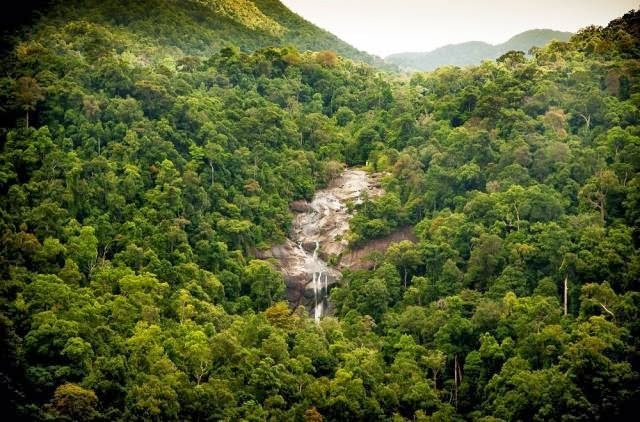 Much of Malaysia was once covered with dense lowland rain forests however systematic deforestation and logging over the years has destroyed much of this forest cover so that today this threatened terrain exists only in protected areas like parks and wildlife reserves. The LDF is the preferred habitat of much native flora and fauna like the Rafflesia species, Asian elephants, gaur, tapirs, Sumatran rhinoceros, flying Lemurs and squirrels, bearded pigs, orangutans, proboscis monkeys and many more. While pockets of lowland rain forests are still situated near urban settlements like the Kanching Forest Reserve, the Sungai Buloh Reserve and the Ampang Forest Reserve outside Kuala Lumpur, they are constantly under threat from humans. 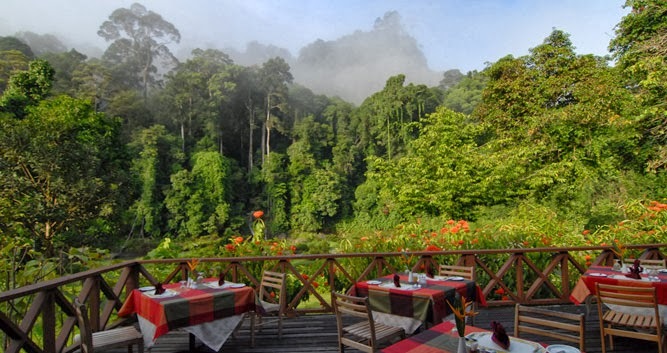 Beautiful and relatively undisturbed lowland forest can be found in protected environments like the Taman Negara National Park on Peninsular Malaysia, the Sepilok Forest Reserve,the Danum Valley and the Maliau Basin in Sabah and the Lambir Hill National Park in Sarawak.